WINAMAC, IN. 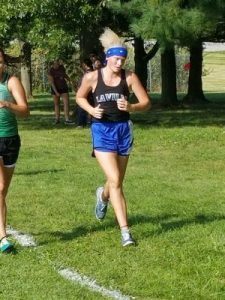 – LaVille High School Co-Ed Cross Country wrapped up its season at the Hoosier North Athletic Conference Championships at Winamac Town Park. Faith Rock finished with a top 20 finish at 20th-place and new personal record 24:04.46. Eve Miller also set a new personal best with a 31st-place finish and a time of 27:14.79. The medalist was Kate Collins (Winamac) in 20:32.01. In the boys event, For Caleb Christy entered the shoot at 34th and set a new PR at 22:17. Connor Henry finished 36th at 23:35.19. The medalist was Mitchell Rans (Caston) in 15:43.92. Caston put four runners in the top five to win the HNAC title with 26 points. Winamac finished with 42 points, Triton was third with 73, Knox 91, and Pioneer 119. 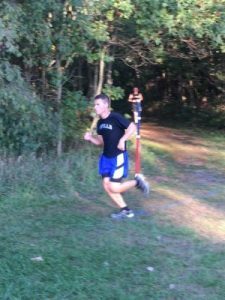 LaVille Varsity Co-Ed Cross Country team will compete at sectionals next Saturday at Erskine golf course.